2 bedroom 2 bath + DEN corner unit in the full service Crown Towers with incredible views of the city, mountains and ocean. 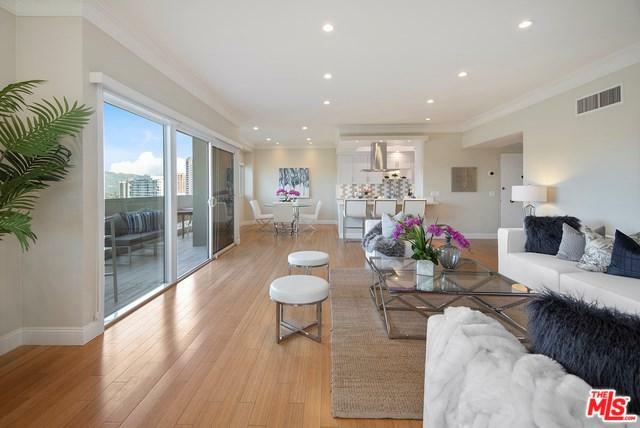 This completely updated unit features bamboo floors, recessed lighting, a large living room that leads to the den and an oversized balcony with unobstructed sunset views, open kitchen with breakfast bar, newer stainless steel appliances and service entry. Spacious master suite with large closets, luxurious master bath with large shower, double sinks and loads of storage. Second bedroom with stunning views. The building features, 24/7 doorman and reception, valet parking, pool and outdoor lounge, fitness center with sauna and recreation room with kitchen. 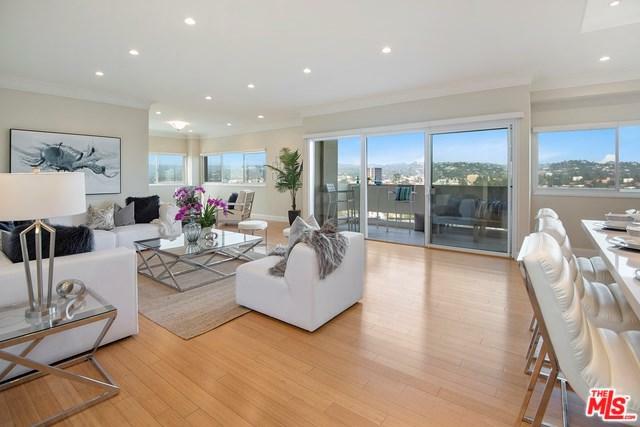 All conveniently situated in Westwood, close to movies, places of worship, restaurants, Westwood Village, Century City and UCLA. Sold by Fahimeh Rappaport of C-21 Amber Realty.